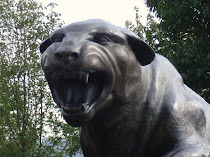 I don't like to discuss high school recruits that haven't committed to Pitt. Frankly, it's too much time keeping up with who might attend the school. We all know that even verbals are no guarantee. But saw this interesting story initially on Bob Smizik's PG blog. 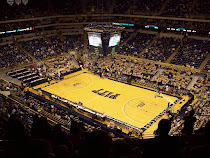 Pitt is taking a look at a pair of seven footers from India attending Kiski here in Western PA. Both have shown promise and next year, one will be a sophomore while the other a junior. Sometimes when you see stories like these, the players are a long way off in terms of development, but they actually appear pretty skilled so far. Other schools expressing interest in one or both include Duke, WVU, Kentucky, LSU, Stanford, Texas, and USC, among others. Likely a longshot for Pitt, but something to keep an eye on.